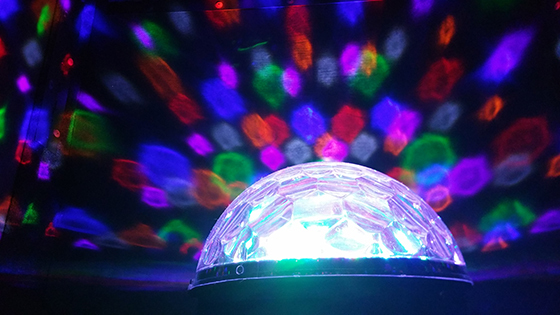 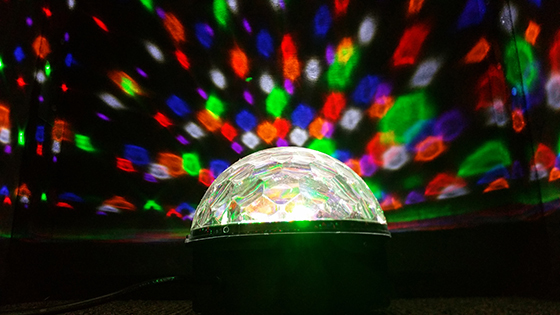 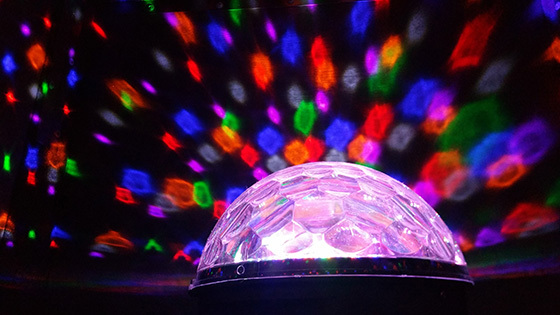 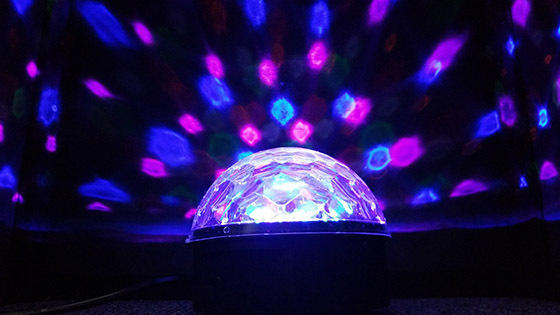 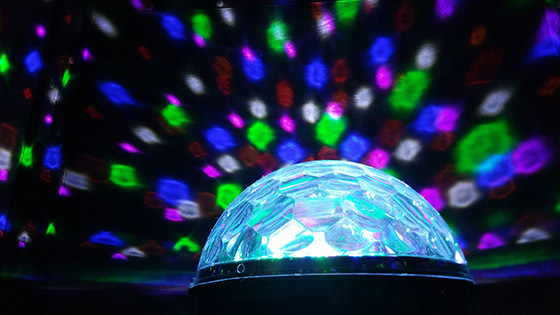 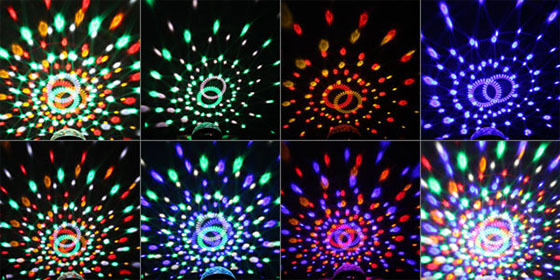 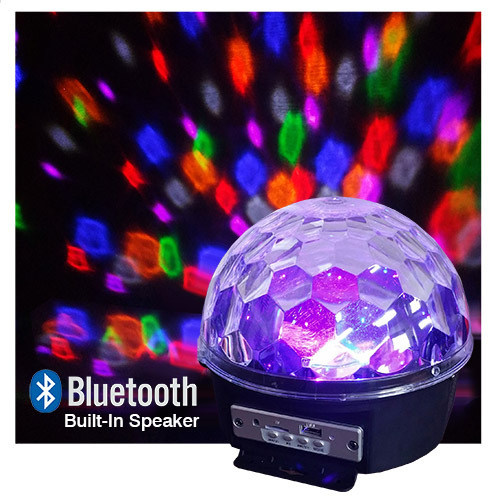 This LED Disco Light creates an explosion of colors that go back and forth to the beat of the music and fills the entire room with color. 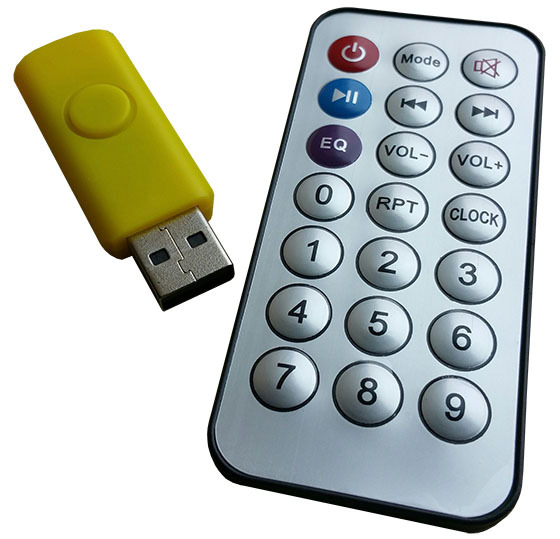 Plug in your favorite MP3's on a USB drive or SD card and play music through the internal speakers. Sync to your favorite music device via Bluetooth and play your favorite songs through the internal speakers.